This topic contains 0 replies, has 1 voice, and was last updated by Aierlan 2 years, 10 months ago. Does anyone know where it came from, and the year it was drawn? 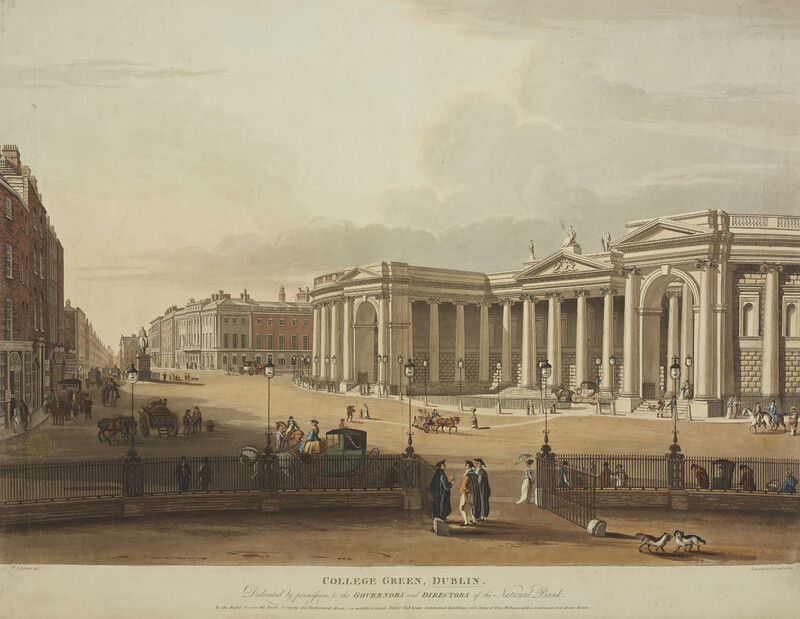 I’ve been looking for imagery of the south side of College Green around 1800. In particular whatever was there before the National Irish Bank/H&M building. There’s this 1816 print, but something seems a bit off about it. The statue of King Billy is opposite Church Lane, and there looks like there is a street corner at that point in the print. But there are suspiciously few buildings between the corner of Grafton Street and Church Lane. So I’m not sure. Any insight, or better views of the Church Lane corner, appreciated.